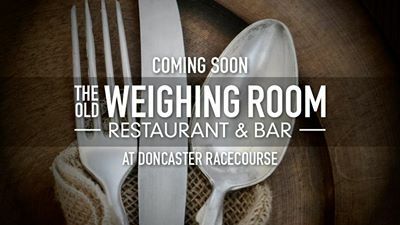 The Old Weighing Room will open Thursday to Sunday and will serve quality British cuisine, of course featuring locally-sourced Yorkshire fare. 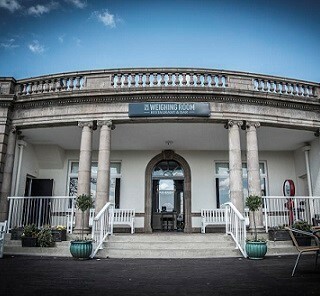 Guests can enjoy dinner and drinks in the unique surroundings of the racecourse - without it even being a raceday! We went for my Dad's 80th on a Saturday night, we were early but we were the only table for most of our time there, it's a real shame as it's a lovely place and Doncaster isnt exactly fully of top class restaurants. The lack of atmosphere was made up for by the staff who were really lovely, especially the main guy, they were really accommodating and attentive, and the free race tickets for birthdays is a really nice touch. The food was good, some of the meat was a bit overcooked for some of our party and granola with fish is a odd even if Masterchef are doing it! But on the whole would recommend the food. The prices however are too expensive, especially the steak. I live in London but still thought the prices high, and the menu is quite limited. On the whole would definitely recommend trying it and would go back because of the service and the setting (must be great on race day) but only if prices are made a bit more reasonable. Hopefully a marketing drive will get more people through the doors to improve atmosphere as it would be a real shame to see it close. Excellent night would highly recommend. We had a wonderful meal here on Saturday evening. From arrival we were looked after and made welcome by all the staff. The food was amazing. I loved my trio of cauliflower starter and partridge main. My husband had the game terrine followed by the Venison. We will definitely visit again and have found a place on our doorstep that we can bring visiting family and friends to. Thank you so much for a very enjoyable evening. Had we had the chance to try your dining experience, I'm sure we would have given feedback. However, our booking was cancelled by the restaurant by phone, after confirmation to me of the booking by email, and therefore we and our friends with a booking at the Hilton Hotel for the occasion, had to rearrange at short notice, a weekend that had been confirmed. To add insult to injury I had two reminders of our non existent booking at the restaurant, and now this request for feedback. I await your reply with interest. This was our first visit but definitely not our last. The food was fantastic and the staff were friendly and attentive without being OTT. For the standard of food we thought the prices were very reasonable. Would certainly come back !!! Having joined another table of 6 we were most impressed by the Waitress as she kept our bill separate from the other 6. It seemed correct and ws presented to us for payment. We also thouht the whole evening, icluding service quality of food etc was very good. Superb meal, service and all round top evening. Just a pity there weren't more people in the restaurant to give it a little more atmosphere. Come on people of Doncaster ........ you're missing out on a fabulous hidden gem.......get yourselves down to Old Weighing Rooms!! Third visit, always excellent service and food! Celebrating here was amazing ! The staff were attentive, friendly and couldn’t do enough for us. The food was outstanding and very well priced. Many of us will be back soon ! 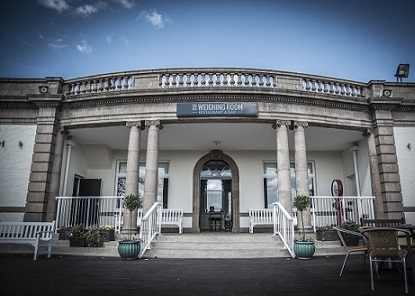 This was my first dining experience at the racecourse. The food was excellent with prompt and friendly service. I had a lovely Mother's Day treat thank you. Great evening enjoyed by all. Food, service and entertainment excellent . Look forward to our next evening there with Michael in charge. Thank you. Great Mothers Day lunch the service was impeccable and the food was of a good standard and was presented well. Loved the little saucepan pots for the vegetables. Thank you for a super evening with lovely food and very good service. Thank you also for the quiet corner table for us to be able to chat as requested. I was very disappointed with the change from winter to spring menus. Most of the party of nine ended up not bothering with three courses, I could only find a main course that I fancied, unlike the winter menu when most of us were spoilt for choice. However, one of the party who has a food intolerance, was looked after well. We had a great experience at The Old Weighing Room. The friendly and professional service was exceptional. The food was top class.